This PDF 417 bar code generator for Visual C# is actually a composing functionality of RasterEdge DocImage SDK for .NET. It is a fully-featured barcode add-on library DLL written in C#.NET for developers to quickly add PDF-417 barcodes on image formats including PNG, JPG, GIF, BMP, as well as other file formats such TIFF, PDF, Microsoft Office Word, Excel and PowerPoint. You can easily generator PDF417 barcode and save it to image files/object using this C#.NET barcode generator control. 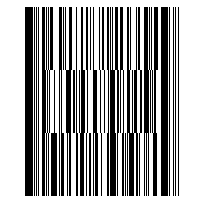 The following steps will show how to create a PDF417 type barcode encoding numeric data text "123456789" into the image object with XImage.Barcode.Creator. Please copy the sample code as follow to generator a PDF417 barcode. In order to create a PDF 417 bar code on images, you need to integrate .NET barcode generator component DLL into your C#.NET imaging project first. Below is the C# sample coding to draw PDF-417 at user-defined area on a png image. Please feel free to change the barcode location as you wish or shift image format to gif, jpeg or bmp. Apart from generating & printing PDF-417 barcode in image editing project, this C#.NET PDF-417 generator library can also help you insert PDF-417 barcode into a PDF, TIFF, Word, Excel or PowerPoint document. View detailed Visual C# samples below.